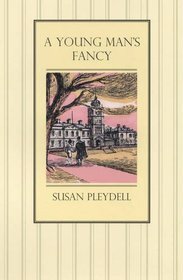 A Young Man’s Fancy by Susan Pleydell is the book that I had hoped Summer Term would be. A sort-of sequel, it returns to Ledenham School which, four years earlier, had experienced an eventful summer term when the headmaster’s daughter and niece were both in residence. Now, with both women happily married off, the focus shifts to the headmaster’s youngest daughter, Alison Fielding. Alison was one of those girls for whom no obvious career presents itself. Her scholastic record was unimpressive, she had no particular bent and no ambition. Her choice had finally fallen on domestic science on the grounds that people always have to eat and any mutt could do it, but when she finished her training she was in no hurry to begin. As she left college an opportunity was offered to her to go abroad and now she was home and intending that a judicious choosiness about jobs would keep her there for some time. The School House at Ledenham was a very good home and in her view she had not had nearly enough of it. At first, her leisurely life at Ledenham seems very appealing. She has her cousin Frances nearby (Frances having married one of the Ledenham School masters) and is great friends with all the young bachelor masters. Predictably, there is one young master with whom she is particularly close: Angus Cameron has been her closest friend at Ledenham since he arrived there four years before. It isn’t long before they both realise that something has changed in their friendship and Alison’s dream of a relaxing term is squashed as she and Angus struggle to conduct an awkward romance in full sight of an entire school’s worth of interested masters and boys. There are subplots – another young master is in love with a Norwegian au pair but is also the target of an aspiring school governor’s daughter’s romantic fantasies; said aspiring school governor makes lots of trouble for Headmaster Fielding; and Oonagh, the headmaster’s replacement secretary, meddles in everyone’s business – but, unlike Summer Term, there is balance to the story. Summer Term had too many surprises and slightly bizarre plotting. Here, everything is nicely regulated. 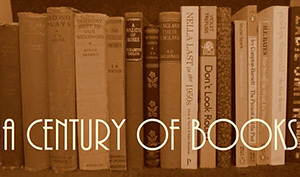 Alison and Angus’s romance runs the course of the book and nothing feels rushed. In Summer Term, I felt cheated because Clare, after winning the reader’s respect and affection, was hurriedly provided with a fiancé without any hint of prior romance and the focus shifted to Frances, who was largely ignored through the first half of the book. In A Young Man’s Fancy, we stick to Alison throughout and it is a relief. We get to know her far better than we did any of the characters in Summer Term and, more interestingly, we get to witness quite a few all-male scenes as the bachelor masters, who are housed together, discuss their various romantic struggles. The characterization isn’t deep but it is far better than what was on offer in Summer Term and I did love getting to see more from the male perspective. It is the perfect light novel, predictable and satisfying. It is not great literature but it is just the thing to pick up when you want a nice, undemanding story – it would be the perfect sick bed book. I can see myself rereading it with pleasure for years to come. This does sound perfect for those evenings where highbrow literary fiction doesn’t appeal – which seems to be most evenings at the moment! I’ve yet to read any of the Greyladies titles and I must, especially since they were wise enough to republish Richmal Crompton! The only Greyladies books I have read so far have been these two Susan Pleydell novels and the O. Douglas books but I do want to try the Richmal Crompton titles as well. Beyond that, I have to admit that I am a bit uncertain about the appeal of the rest of their catalogue. Sounds satisfying like an O. Douglas novel. Thanks for a new author to look for! It definitely serves the same purpose!